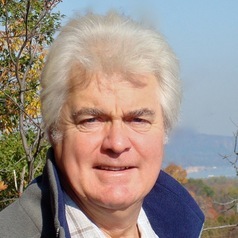 John Shepherd is a Professorial Research Fellow in Earth System Science at the University of Southampton.He has been Professor of Marine Science at Southampton since 1994, and from 1994–1999 he was the first Director of what is now the National Oceanography Centre. From 2001 to 2010 Professor Shepherd was also a Deputy Director of the Tyndall Centre for Climate Change Research. He is a Fellow of the Institute of Mathematics and its Applications, and was elected a Fellow of the Royal Society in 1999. His current research interests include the natural variability of the climate system on long time-scales, and the development and use of intermediate complexity models (especially GENIE) of the Earth climate system, for the interpretation of the palaeo-climate record, and for long-term projections of climate change.